Black Hedges Farmhouse was built in 1936 as a working farm and became a family home in the mid 80s. The stables were added soon after, in a private position at the rear of the property, and converted into holiday let in late 2012 where beautiful views could be enjoyed. Mark and Vanessa Wills have lived here for 24 years and the house and garden has been improved over time. The stable conversion has been Vanessa’s passion as a property developer and planning consultant over the last couple of years. The refurbishment has been carried with loving attention and now the design sings of comfort, style and relaxation. This glorious location together with a plethora of facilities on the doorstep make the Stables at Black Hedges a perfect retreat. Wake up to gentle birdsong and an early morning swim, put on the coffee machine, then enjoy a day out, followed a glass of wine watching the sunset. We hope to make this a special holiday for you. West Meon is a pretty village located in a National Park and in an Area of Outstanding Natural Beauty. Simply breathtaking. Within 5 minutes walk from the Stables, there is a well stocked village shop, butcher, cafe, post office and an award winning Pub, the Thomas Lord. There are also tennis courts and a church. The village hall offers a variety of activities including occasional plays and exercise classes. 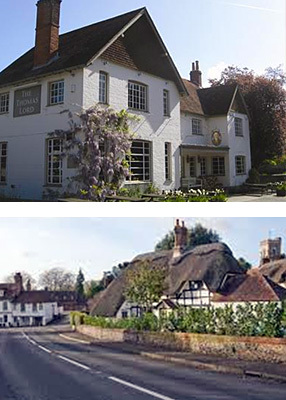 West Meon is within easy reach of the historic town of Winchester and its cathedral, Portsmouth and the Spinnaker Tower with waterside dining, ferries to the Isle of Wight and beautiful sandy beaches of the Witterings.